Spyro? Sir Dan? Need a lift? There’s another PS1 classic you’re totally missing out on. Coming from Caged Element, I wouldn’t usually open a review in such an “advertorial” way, but when you’ve got Spyro and Medieval doing the rounds, GRIP deserves to be up there too. And why? Because although this has a new name and game engine, it’s nigh-on a beat for beat remake and reinvigoration of Rollcage – the PS1's physics-based racer where you plummeted around courses at 700 miles per hour. The most salient connection between the two works is original Rollcage and Rollcage: Stage II developer Robert Baker, who seems to have thought – like the rest of the franchise's cult fandom – that the formula he and Attention to Detail perfected back in the day just needed a lick of paint. Thankfully, GRIP is exactly that and plenty more. 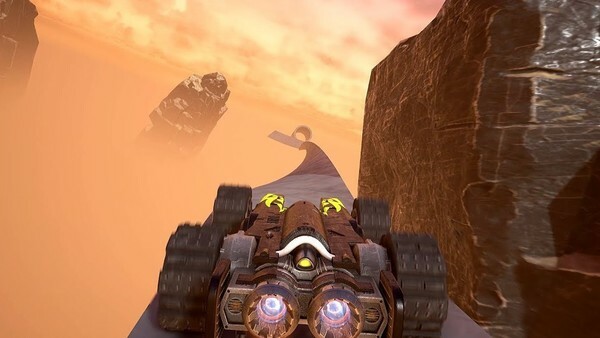 Physics are just as any Rollcage fan will remember, being easy to dive into and grapple with, but tricky enough when it comes to more complex tracks to give you a run for your money. There’s a real sense of weight and momentum to controlling your particular rig – one that plays into an out-of-nowhere rock formation catapulting you sideways – only for you to twist in mid-air, find purchase on the ceiling itself and keep going. These moments give GRIP an immensely satisfying risk/reward sensibility. The more you deploy boost and unleash volleys of rockets, the more anarchic the action, bu the more chance you’ll crash or lose control. 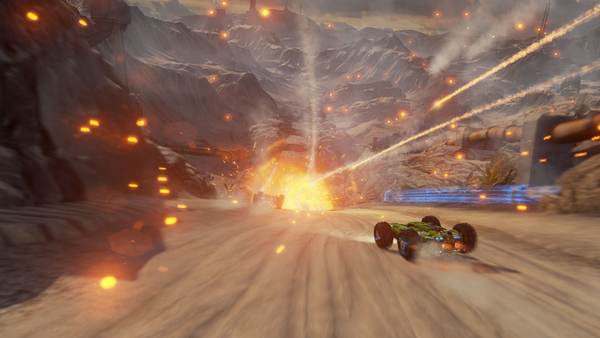 Staying in that zone; of riding the turbulence and nailing every powerslide, only boosting when necessary and obliterating the competition with a well-placed minigun volley, is where races are won and lost, both against fearsome AI or online. It's all backed up by 60fps, some ace car detail and sumptuous graphics in-game. 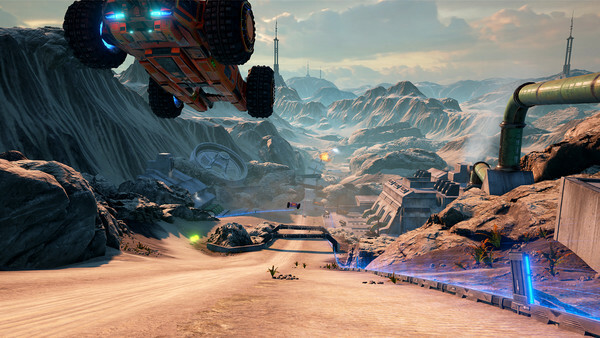 Tracks vary from Mars-esque dustbowls to futuristic, hyper-clean cities with arching skyscrapers, but sadly, it’s not all rainbows and nitro-powered fun. 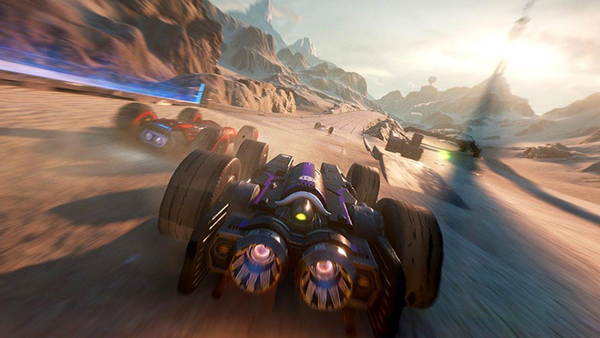 GRIP comes with an overly hand-holdy faux-“campaign” - one bolstered by great loading screen artwork and if you go looking, an entire codex fleshing out a world of TV ratings and post-apocalyptic racing teams – but none of this is communicated naturally, or feels especially rewarding. Simply because of how immediate and visceral flinging yourself into a 10 car race feels, the campaign’s insistence on driving mundane setups on the same starter tracks with slower rides against minimal, simplistic AI, is in itself a MAJOR speed bump to unlocking the full range of what's on offer. 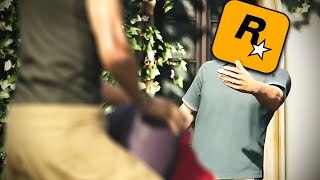 Once you’re past these opening stages it’s all gravy, but know it’s not just Red Dead Redemption 2 that makes you work for its best moments. Also dragging down proceedings is GRIP's bizarre handling of track selection, laggy menu presentation and onboarding in general. Outside the campaign you’re free to choose a circuit based on difficulty, but unless you trial and error some examples to establish your own capabilities in regards to the game's Easy, Normal and Hard split, you're doomed to the aforementioned campaign rollout, and that is the WORST way to experience GRIP on a fresh save. Thankfully, propping the experience back up again is Arena and Carkour, the former being a basic Mario Kart/Destruction Derby smash 'em up where weapons are key, and the latter a fun a continuation of Rollcage Stage II’s challenge mode. Here the game’s physics are front and centre, and you’re tasked with conquering intertwining spaghetti loops of track, coupled with propulsive big air boosts and precise landing spots. Mercifully, Carkour also lets you pick which difficulty you’d like, but talk about a developer-tested gauntlet of pure challenge. Only the most skilful will apply (and survive). 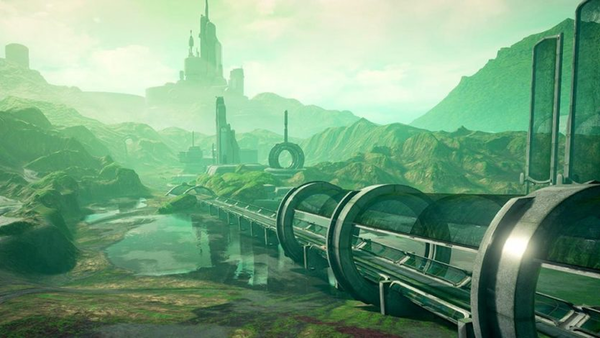 Overall, GRIP is the answer to “What would a heavier Rocket League play like on the best courses from Trackmania?” - a question millions likely didn't know they wanted answering, and it's just as satisfying as that sentiment suggests. There’s never been anything quite like Psygnosis' old classics in almost 20 years, and it is damn good to have GRIP do this brand of racing justice once again.